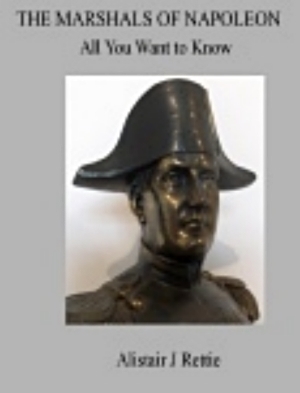 CPTL is proud to introduce Alistair J. Rettie's Marshals of Napoleon, his first publication. Described as 'history with a smile', this book chronicles the fascinating lives of Napoleon's greatest generals through a combination of humour and extensive historical research. Well-written and insightful, this book will appeal to both historians and the casual reader. Alistair Rettie (1947-2012) worked as an energy industry solicitor. His career provided him the opportunity to work and live around the world as legal advisor and company president. He lived in Barnes, London and was married with two sons. Alistair's interests included playing music, rugby and ancient and military history. As a keen war-gamer of the Napoleonic era, his hobby led to a fascination with the strategy and tactics of that period and those men who put such tactics into practice. This book is a result of that curiosity. Alistair passed away in 2012 following a long illness. Sadly missed by all who know him, his warm sense of humour and sound business sense were captured by Chris Thorpe's speech at his funeral service, available here. Marshals of Napoleon is available to purchase, priced £25. Thank you! We will contact you by email to arrange purchase.